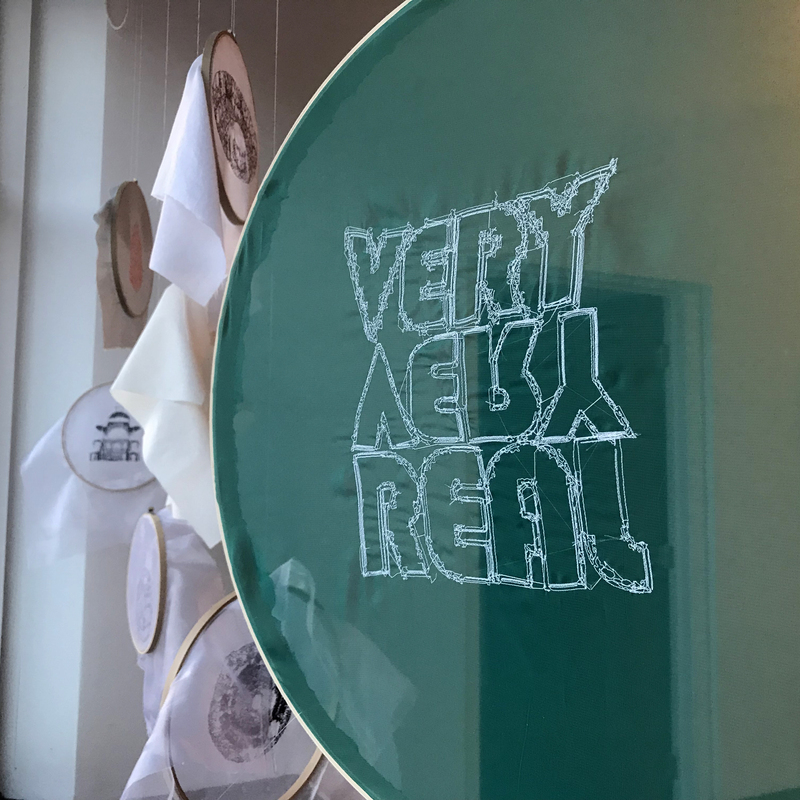 Very Very Real, an exhibition on display Jan. 16 through Feb. 2 at the ISU Design on Main Gallery, presents works that are enabled by the digital and the “analog” familiar; new media arts thinking explores boundaries and opens up uncovered, unrestrained new topologies. These digitally lubricated works explore proliferation and desire, abundance in our human culture, and the familiar in the unfamiliar. Using analog approaches, cultural perceptions and digital residue of cultural artefacts, these works seek to re-examine the recognizable in a dialectical fashion. 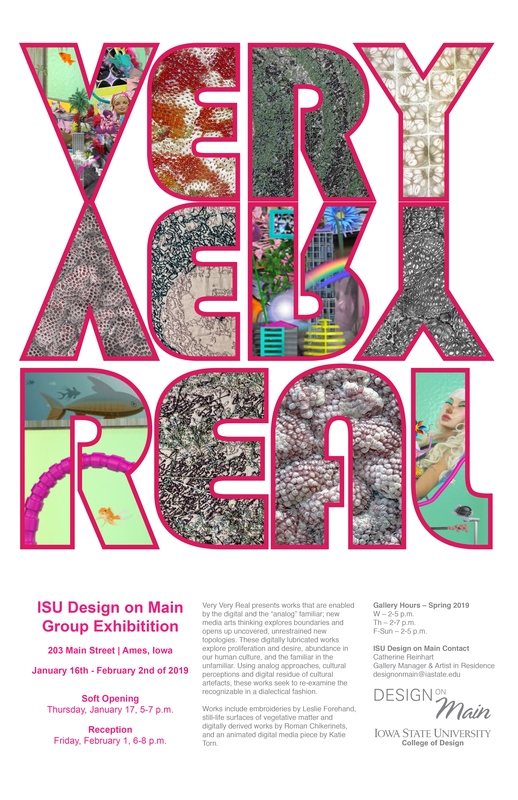 Works include computational embroidery by Leslie Forehand, lecturer and the David Lingle Faculty Fellow in Architecture; still-life surfaces of vegetative matter and digitally derived works by Roman Chikerinets, lecturer in architecture; and an animated digital media piece by New York-based artist Katie Torn.